SCENTOUT Reusable Carbon Hunting Scent Control Bag: 24" x 28"
SCENTOUT Reusable Carbon Hunting Scent Control Bag: 24" x 28" Bag Keeps Clothing & Gear Scent-Free Summary ScentOut™ Reusable Activated Carbon Scent Control Bags are the quintessential sportsman's must-have accessory. 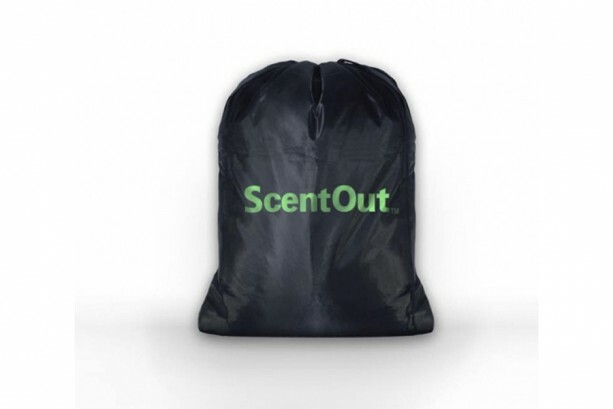 Made of waterproof polyester on the outside and non-woven fiber impregnated with finely-ground activated carbon on the inside, each ScentOut™ Bag is designed to block contaminating human and household scents from hunting gear stored in the Bag, while also absorbing and neutralizing any odors gassing from that same gear. 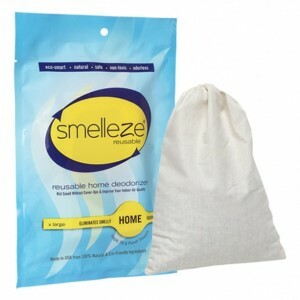 Features & Benefits • Smelly stuff goes in — human scents are knocked out! • 24"x28" size offers generous odor-proofing storage for hunters • Protect clean hunting items from smelly environments • Odorless, non-toxic – safe for any hunting gear • Reusable – Reactivates in direct sunlight ScentOut™ Reusable Carbon Hunting Scent Control Bag ScentOut™ Reusable Carbon Hunting Scent Control Bags are made of a sturdy non-woven synthetic material with an activated carbon lining. 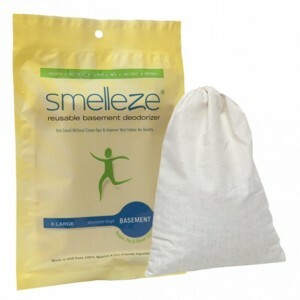 This unique lining utilizes the powerful natural odor eliminating properties of activated carbon that absorb odor molecules degassed from stored items. This tremendous smell elimination process keeps on eradicating odors; even if you add more stinky stuff, like a second pair of slimy boots or the shirt you wore to dress your game or fish. ScentOut™ Reusable Carbon Hunting Scent Control Bags also offer extremely effective odor-blocking protection. That change of clean clothes, for example, can be stored in a bag surrounded by airborne smells and be safe from any odor contamination. Fresh in—fresh out! Tough, Packable, & Ready to Tackle Strong Odors Each ScentOut™ Reusable Carbon Hunting Scent Control Bag is a generous 24" x 28" size. The tough non-woven material can take on the weight and stink of heavy hunting boots or full-length waders. Whether your gear has taken a stink hit from organic, chemical, or oil-based origins, once it's inside a ScentOut™ bag, the stink is gone. Easily folded to a compact size, each ScentOut™ Scent Control Bag can be conveniently stowed in vehicles and boats, or with camping and hunting gear, and other outdoor equipment, until needed. Traveling with ScentOut™ Carbon Hunting Scent Control Bags is a plus, since you can block any unwanted smells and keep your vehicle fresher and easier to clean after your trip. 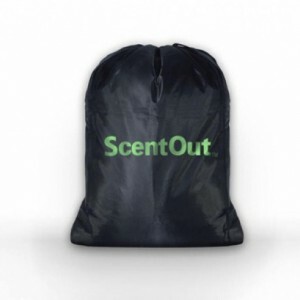 Reactivate for Long Lasting Odor Control Exceptional scent control is at your fingertips with ScentOut™ Reusable Carbon Hunting Bags, but we go one step further by making them reusable. Each SmellRid™ bag can be reactivated by placing it, inside out, in direct sunlight for a day—providing you with exceptional and long-lasting scent control.